The latest trends and forecast in Smartphones like Android, Apple's iOS and others coming 2018 - What to expect and all you need to know. Technology has taken over the world and every day we encounter different products and devices that are made for our ease and comfort in our daily routines. Moreso, smartphones are something that are trending from the day they got launched and till date the trend is growing and growing. The first trend is of m-commerce. It is going to become a new standard of shopping and buying products online with the help of mobile applications. Mobile payments would be cheap and safe, and they can act as a best alternative to the existing traditional methods of payment. Technologies like mobile e-wallets etc. might be launched to help achieve this new standard of shopping. Another feature that one can find in different cell phone is that if gesture control. Gesture control trend will ensure the smartphones to track facial or body movements for different inputs. The smartphones might be controlled with the help of gestures. Also, the gesture control involves the finger print lock of the phones. People are currently preferring those smartphones that open up with their fingers only and that seriously is one impressive feature. The pixels of the camera that smartphones offer to its users can increase up to 20 megapixels. Moreover, the performance of the cameras will also improve. Everyone loves to have a smartphone which has great camera quality because it is the age of selfies so why not! Also, people might witness a better image stabilization, optical zooming, accurate autofocus etc. Moreover, the integration of payments with our device is likely to take place. The financial processing can be done by phone companies rather than with the help of banks. This is a true depiction of the growth in our technology, the innovation with which it comes with is also outstanding. People who have Apple devices can expect their Siri to answer health related problems. Apple is planning to develop a health care operator in their devices like the Apple Smart Watch, which can help people treat their health problems. Earlier, the only thing that mattered in a phone was that it was strong enough to survive a fall or other damage but 2018 brings a lot of different and impressive things with it, waterproof smartphones will become an entry requirement, which means that whoever is planning to launch a new device in 2018 need to ensure that the device is waterproof. One of the worst fears of a smartphone user is the low battery sign and our usage of cellphones has increased to such a level that we all now need a smartphone that can last for hours. Well, don’t worry because the battery power of the upcoming smartphones will be better than before and with time people will witness a significant improvement in the battery life of devices. All the above trends are expected to be launched in 2018. Let’s see how many of them are actually launched in 2018. 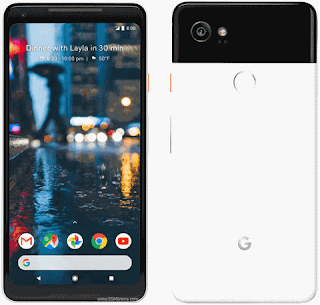 Grab the smartphone that offers maximum number of new features as they will be worth the money that you are planning to spend on getting a new smartphone. Let’s wait for 2018 to begin. Stay connected and keep reading because we've got a lot more to talk on the new trends and features in the world of smartphones. Till then, keep sharing and keep loving our blogs.